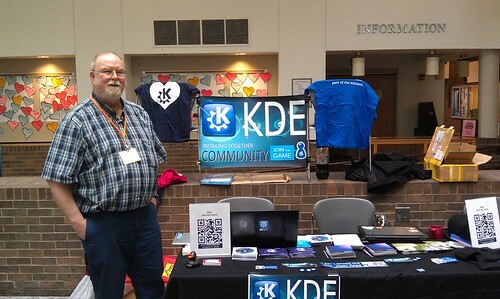 Last Saturday at Northeast LinuxFest, a GNU/Linux gathering, yours truly spent the day promoting KDE and its community of fine people. This weekend, I’m going to just be a happy participant at LibrePlanet at UMass Boston. It is Monday of Open Education Week. In this blog, open education has been the dominant theme. Using open (free as in freedom) software is one element, for sure. Open Educational Resources (OER) are also central to making education work in the information age. Education has always been about helping kids to interact with a steadily broadening stream of knowledge. Knowledge isn’t owned by anybody, though some will temporarily capture it with copyright and patents. 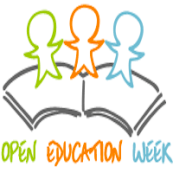 Sponsored by the Open Courseware Consortium the week is an opportunity to assess where the opening of education is. Many universities have developed courses that they have also presented for free (a few with certificates), accessible worldwide. 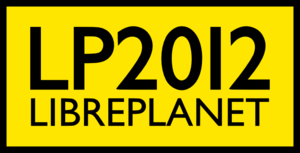 The P2PU inaugurated a “School of Education” this year. You can get in touch with great course organizers and engage with peers to deepen your administrator or teacher skills. You can also directly participate in efforts to make more open materials suitable for schools, teachers and students to use. One such effort it the Kids Open Dictionary which already has over 9000 words defined by people like you and me. The definitions are specifically identified as public domain. Doesn’t it strike you as odd that the definitions in Websters or another commercial dictionary are under copyright? Here’s your chance to make a difference. You can see that there are a lot more words that can still be defined from the available list. 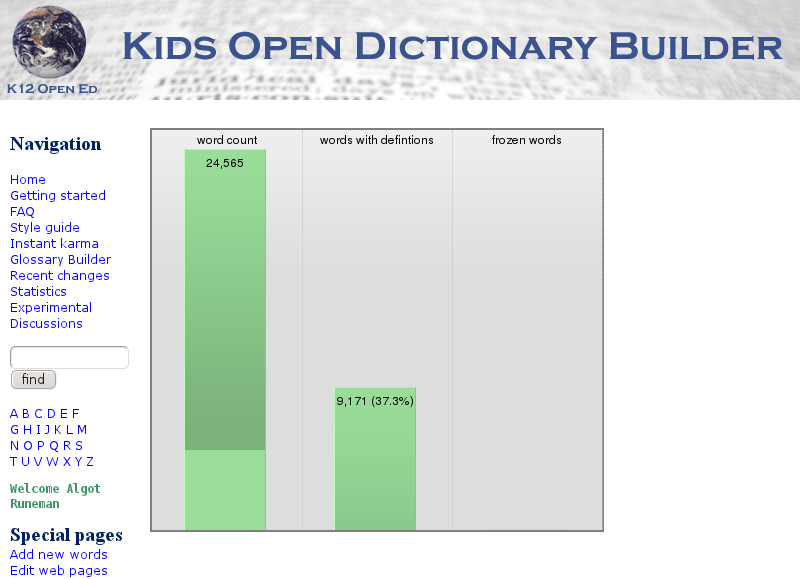 Go to the dictionary builder page and sign up. Even if you only add a single definition, you can pat yourself on the back that you did something to celebrate and participate in Open Education Week.